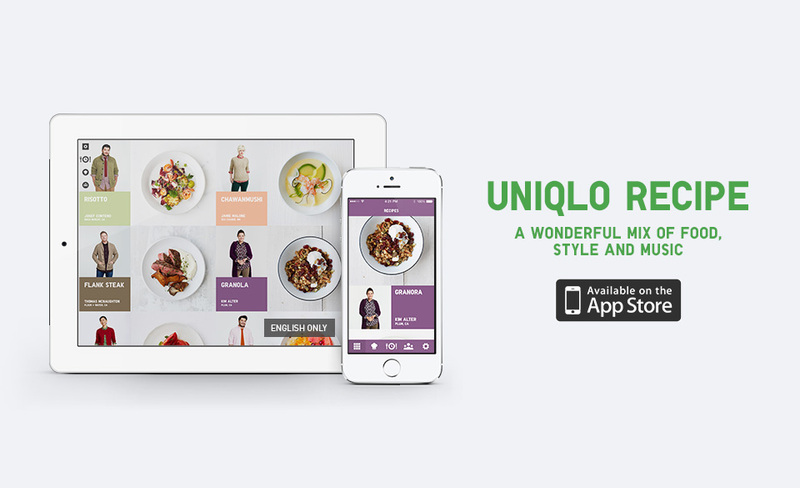 Uniqlo Recipe is a wonderful mix of food, style and music where six emerging chefs from around the United States developed recipes inspired by Uniqlo’s LifeWear philosophy. There were 24 original recipes were created using everyday ingredients and common cooking techniques. A unique blend of fine dining and comfort food, each recipe is easy to prepare at home. 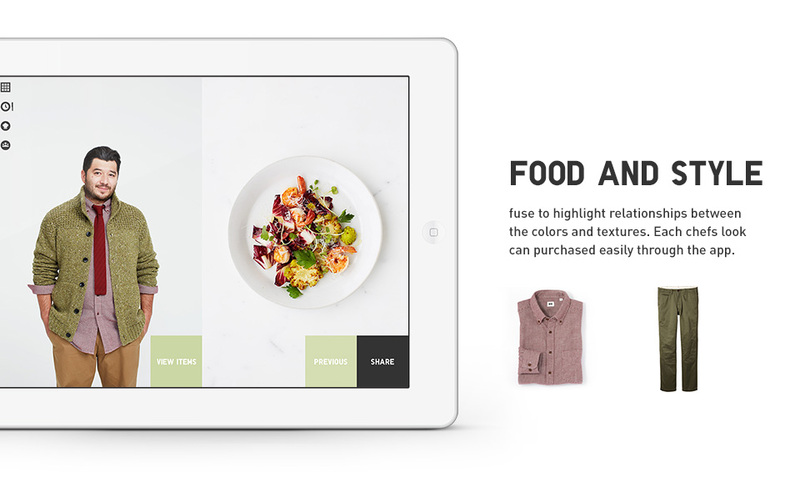 Food and style fuse to highlight relationships between the colors and textures. 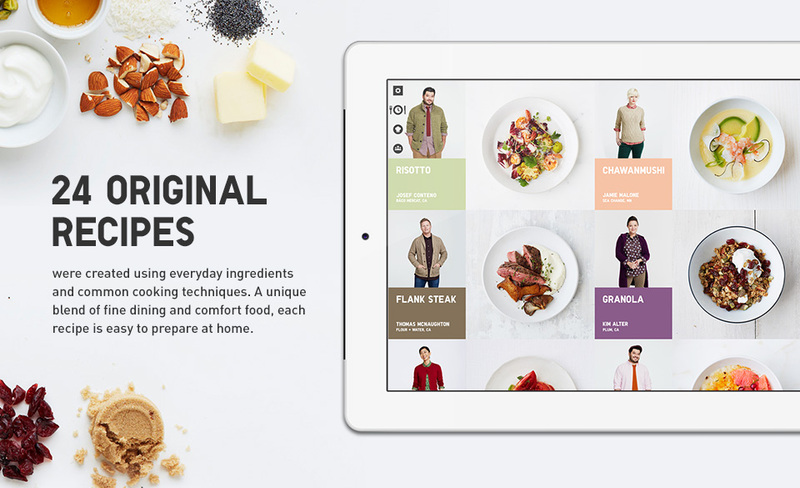 Each chefs look can be purchased easily through the app. Original music, food and style combine perfectly in a timer featuring cooking sounds. The timer can be used on its own or as part of every recipe. Spring/Summer has designed and made UX for the iPad and iPhone app while supporting the website.